The University of Mississippi health center has recently made a change in administration, hiring Alex Langhart as the director of health services to replace Dr. Travis Yates after the latter stepped down from the position. After holding the position since July 2013, Yates’s desire to return to medical care prompted his decision. Former University Health Services Director Dr. Travis Yates acknowledges that many students struggle to afford visits to the health center, but says that the health center on campus is still the most affordable option. Photo by Christian Johnson. Yates will continue to see patients at the center, but he will no longer have administrative responsibilities. Following the announcement of Yates’s decision, Langhart, an alumnus of the university, was selected to fill the position. Langhart graduated in 2015 with a master’s degree in health services administration. Although this is the first time in six years that the health center will not be run by a practicing doctor, this type of administration is not uncommon. According to Langhart, many other universities follow this model. Langhart began work as the director of clinic operations at the Greenwood Leflore Hospital after earning his master’s degree. Langhart commuted from Oxford to Greenwood daily. After four years in this position, Langhart was ready for a change. Langhart’s administrative work will include running daily operations, budgeting, staffing and coordinating community outreach and student and employee affairs. 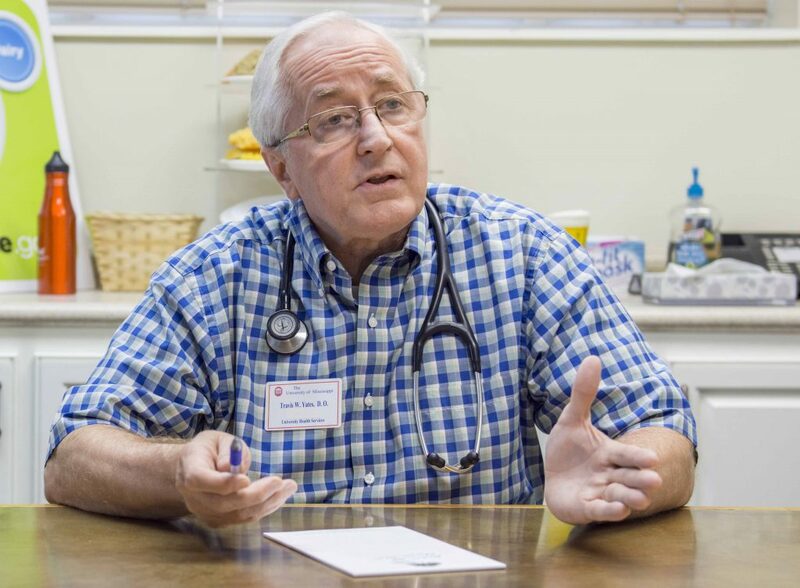 He said he hopes to lead the health center toward accreditation, the highest stamp of approval by the Association of Accreditation of Ambulatory Healthcare. Because of limited space, Langhart hopes to move the health center to the South Oxford Center, the previous location of the Baptist Memorial Hospital on South Lamar Boulevard. The health center would be located in the old emergency room space. Although it is off campus, Langhart said he believes the location will better fit the university’s needs. According to Langhart, student and administrative input is necessary in the decision for the move. The proposed move wouldn’t take place for at least another year, but two surveys will soon be sent out to evaluate student and employee opinion.